Life of a Catholic Librarian: Tea Time with Tiffany #108 - Back to School, and Scentsy talk! 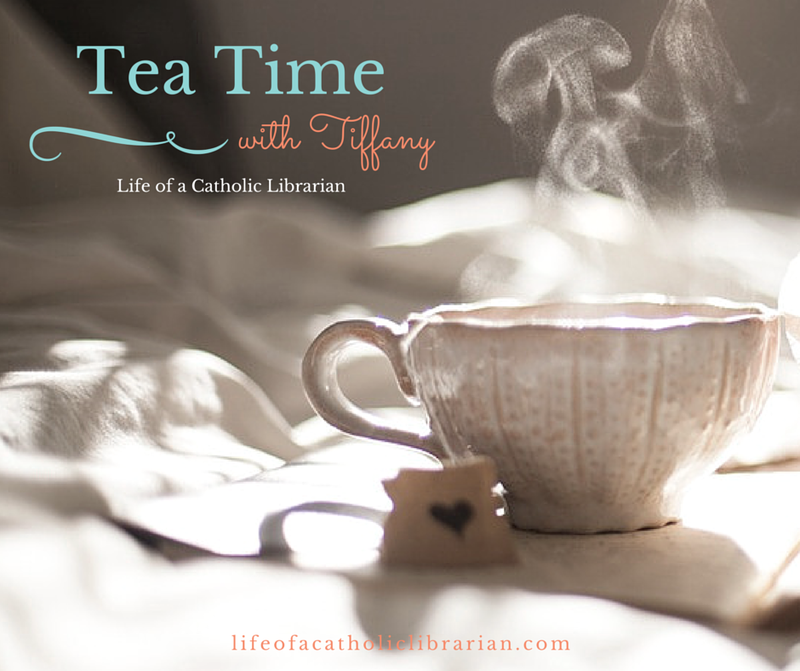 Tea Time with Tiffany #108 - Back to School, and Scentsy talk! Today I talk back-to-school, and fall Scentsy shenanigans! Plus, I finally reveal my Rhinebeck sweater, and what the heck that is. Join me! My Scentsy website. Just send me an email if you'd like to join the Facebook group! On My Bookshelf: Amish Quilt Shop series. Murder Plainly Read (Book 4), and Murder Handcrafted (Book 5). Creative Commons: My Rhinebeck sweater, Opposite Pole, by Joji Locatelli. Yarn is Knit Picks' Wool of the Andes. My sweater specifically is in the Aurora Heather colorway. :) Link to the NY Sheep and Wool Festival! Prayer Corner: Novena to St. Maximilian Kolbe! Watch for my piece about him on Catholic Mom, this coming Monday 8/14. What are you working on this weekend, dear readers? I'd love to hear from you! I like the color of your sweater and it appears to be coming along. I looked at the pattern page and it looks like a fun sweater. I'm still working on the shawl I've mentioned in past weeks. I've almost finished the purple section of the yarn.